Social media platforms gather a large amount of useful user information, making B2C social media marketing an invaluable part of Spectrum’s digital marketing strategy. Because social networks gather such a larger amount of user information, B2C social media marketing is able to target a specific audience in a wider variety of ways than other online platforms. 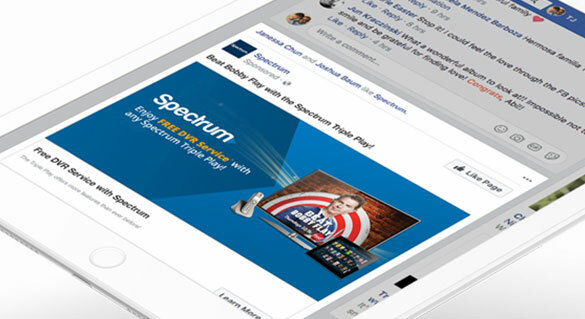 Mediaboom has created many social media ads for Spectrum that take advantage of these unique targeting capabilities, with the ultimate goal of acquiring new customers and increasing sales. 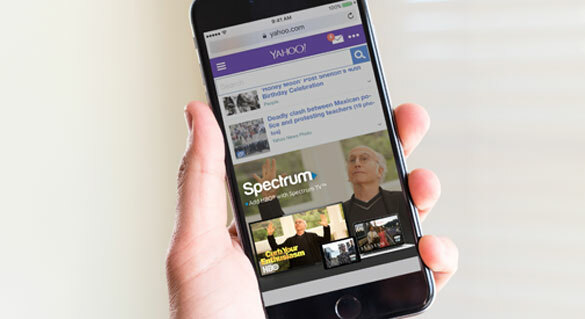 Mediaboom has created unique and engaging ads for Spectrum on platforms such as Facebook, Instagram, Yahoo, Gmail, Trulia, and more. 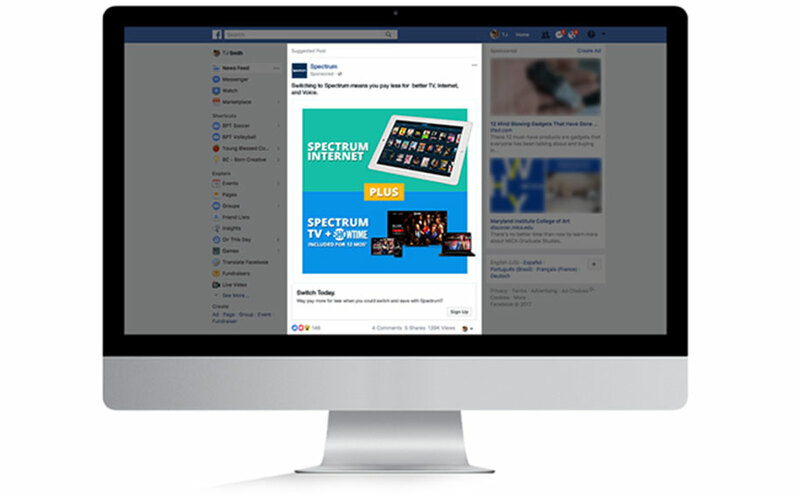 By utilizing the large amount of data gathered by these platforms, Spectrum is able to target these ads specifically to their target audience. 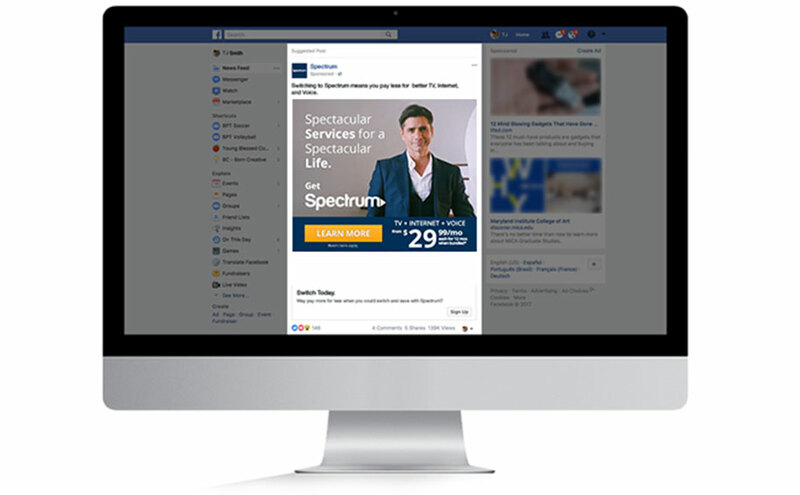 The social media ads Mediaboom has created for Spectrum have resulted in the acquisition of new customers as well as an increase in product sales. We’d love to talk with you about creating something extraordinary for your brand.